Eric Lynn Wright (September 7, 1963– March 26, 1995), better recognized by his stage name Eazy-E whom is considered to be “The Godfather Of Gangsta Rap” was an American rap artist and former member of the rap group N.W.A. (consisting of Ice Cube, M.C. Ren and Dr. Dre). Wright, was born and raised in Compton, California. Shortly after E dropped out of High School in the 10th grade, he maintained a living mainly by dealing drugs in his neighborhood “Kelly Park Compton Crips,” prior to starting Ruthless Records Records and ending up being a rap artist. When Ruthless musicians Dr. Dre and Ice Cube inked “Boyz-n-the-Hood“, Dre, Cube, and Eazy created N.W.A. After DJ Yella, MC Ren, and Arabian Prince signed up with the group, N.W.A launched N.W.A. and the Posse. In 1988, they released their most highly controversial CD, Straight Outta Compton. The crew released 2 additional CDs before the group separated. Eazy-E was affiliated with the Kelly Park Compton Crips. Ice Cube penned Dr. Dre and Eazy-E’s verses for the group’s landmark album, Straight Outta Compton, released in 1988. But unfortunately, by the end of 1989, Ice Cube found himself standing on shaky grounds with NWA’s new manager, Jerry Heller, immediately after refusing Heller’s suggested contract terms. Considering that Ice Cube composed the verses to almost all the songs on Straight Outta Compton, and Eazy-E’s self individual cd, Eazy-Duz-It, he was informed by his legal team about how much money he was really owed by Heller, and made a lawful decision in the near future after leaving the label and NWA. The first reaction, of the remaining N.W.A affiliates insulted him on the EP 100 Miles and Runnin’ as well on their following and last album, Niggaz4Life. 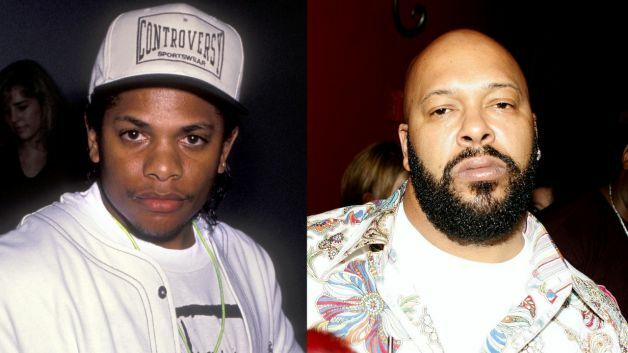 Ice Cube fired back with a diss track called “No Vaseline” but by this time Dr. Dre had also left the label due to financial reasons. Ruthless Records was an American record label, founded by Gangsta rapper Eazy-E and N.W.A. manager Jerry Heller, in Eazy’s hometown of Compton, California in 1986. Dr. Dre as well as The D.O.C. intended to leave both N.W.A. and their label, Ruthless Records, controlled by Eazy-E, an additional affiliate of N.W.A. Dr. Dre released his debut album “The Chronic” which introduced Snoop Doggy Dogg (Rollin 20s Crips), Dogg Pound, Warren G, Lady Of Rage, Nate Dogg, and Jewell. Dr. Dre released The Chronic first single called Dre Day, which feat. Snoop Dogg, both taking shots at Eazy-E. 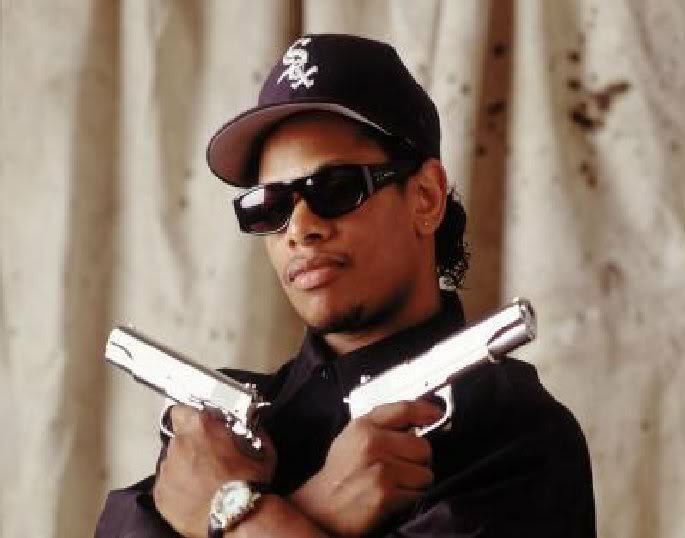 In 1993, Eazy fired back with the release of called It’s On (Dr. Dre) 187um Killa, Real Compton City G’s. Which feat. BG Knocc Out & Gangsta Dresta (Real Brothers) and both are affiliated with Nutty Blocc Compton Crips . He was 31 years old. E made peace with Dr. Dre, Tweedy Bird Loc, and Snoop Dogg before his death. Eazy was buried at Rose Hills Memorial Park in Whittier, California. In November 1995, shortly after Eazy-E’s death, Str8 off tha Streetz of Muthaphukkin Compton was released. Eazy-E left behide a wife “Tomacca Wright” and 7 children, his oldest son Lil Eazy-E who is also a rapper. 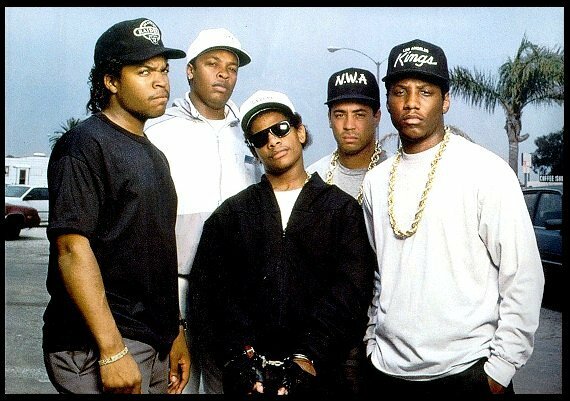 Many rappers have expressed and paid homage to Eazy-E such as Bone Thug N Harmony, DJ Yella, BG Knocc Out & Gangsta Dresta, Mack 10, Kokane, Mc Ren, Ice Cube, The D.O.C, and The Game. Great Article…looking firward to the movie, Thanks for sharing.